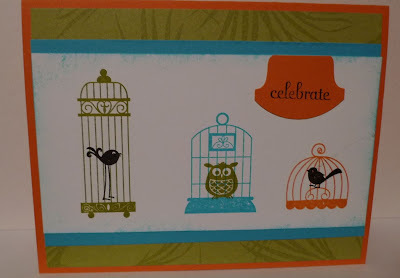 Karina's Kreations: Aviary Bird Trio! I am loving this stamp set called Aviary. I have a kids class this Saturday and this will be one of the cards we'll make. It's simple but cute!